Property taxes. Utilities. Mortgage payments. There are all kinds of ways that our homes cost us money. Many of us hope that it will all pay off in the long run when we sell our house and property for a profit. But there’s no need to wait that long. Why not make money from your home right now with one of these business ideas? If you live in an area where it’s legal, you can add a rental suite to your property. If you don’t have room inside for a classic in-law or basement suite, consider converting your garage or even, if space and regulations allow, build a separate free-standing structure. Be sure you research the regulations for legal suites in your area before you renovate or build. It’s common to require legal rental suites to have to have their own separate entrances, for instance, as well as full kitchens and bathrooms. Also be sure that you research how much income your suite will bring in before you create one. Calculate how long it will take you to get back the money you have to spend on your renovation before you will start making money as a landlord. Rentometer is a handy tool for checking rental prices in your location. The suite idea doesn’t work for you? You may still be able to rent out part or all of your property if you live somewhere desirable. And don’t think that you have to live in a resort area for your home to be desirable. Being close to a college or university, a hospital, a big employer or even living in a city with a tight rental market can make your property a place someone would like to rent. The first step to making money off your rental is deciding what space within your home you’re going to rent. Bedrooms with their own bathrooms will obviously rent for more than a bedroom with shared facilities. To make the most income you might consider giving up your master bedroom if it has an ensuite. Then research what your accommodation might rent for. Spruce up as necessary. Take some good photos and voila! You’re ready to sign up to be an Airbnb host or put your rental listing on craigslist. If you live in a place that appeals to tourists, you might want to consider moving out and renting your whole property in season. This is assuming you can live somewhere that would make this a positive cash flow situation. If you have several rooms available and want to maximize your rental income, turning your home into a Bed and Breakfast could be the way to go. Being able to rent out several rooms in your house nightly or even weekly can be a lot more lucrative than renting by the month. Operating a Bed and Breakfast requires more of the hosts than just renting out a room — and providing breakfast is just the start. Research what it takes to start and operate a BnB before you start down that road. But what if you don’t want to be a host or a landlord but you still have some available space that you’d like to convert into steady income? If the size and characteristics of the space are right, you might be able to rent it out monthly as storage. Lots of people have vehicles such as boats, RVs, and motorbikes that they want to protect from winter weather but have no space to keep at their homes. Some are looking for year round storage options. Letting someone else store their vehicle in your garage, shed or barn could bring in some handy monthly income. Have space to build or convert? There’s an ever-growing demand for storage units. Just as with rented rooms, take good photos of your space for advertising purposes, and be sure to note any special features (such as having a heated space) that will make your rental stand out. If you have an acreage with unused space you can use it for outdoor storage as well. Even if you live on a standard suburban lot, you can grow enough fruit, vegetables or flowers to sell. If you live on an acreage, you have even more growing possibilities. In many places, it’s common to see roadside stands selling fresh flowers, fruit, nuts, and local produce in season. With increasing numbers of people becoming ever more concerned about the safety and wholesomeness of the food they eat (witness the growth of the organic food industry), the market for fresh, local food is burgeoning. So if you have one, why not put your green thumb to work and sell what you grow from your own property and possibly at a local farmers’ market? 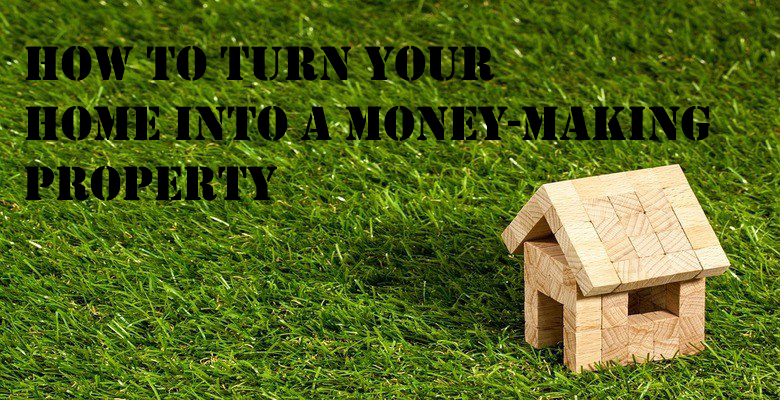 If you own an acreage or small farm, you might be able to make money holding events. You don’t have to hold big concerts or music festivals to do it (although you can, of course, if you have the right property and the desire to hold such an event.) Many small farmers and landowners make a steady profit from agritourism, setting up seasonal mazes and labyrinths, providing hayrides, farm tours, and demonstrations and offering special event dinners. Outdoor weddings in pretty, rural locations are always popular in season. If you own agricultural land, though, remember to check and see what commercial activities are allowed on farmland where you live before you start operations. Some activities may be restricted, prohibited or require special permits. All the ideas above for making money from your home are home-based businesses, but they’re not the only possibilities, by any means. Whether you want to actually work at home or use your home as your new small business’s base, operating a home-based business (rather than a non-home-based one) has advantages. Running your business out of your home, for instance, helps keep your business’s overhead down, has income tax advantages, and, if you’re able to work at home, can be a great way to stay home with your children while making an income. Are you ready to start a home business? And if you are but don’t quite know what business idea you’d like to pursue, here are the 10 best home business opportunities for now and tomorrow. There are two important points to consider before you throw down the drawbridge of your castle. The first is insurance risk. If you are using the property in ways not specified on your insurance policy your insurance may (and likely will) be invalidated in the case of a fire, flood or another catastrophe. However, you decide to use your property you must acquire proper insurance coverage. The second is to make sure that you are not taking on more than you can handle. Renovations can be physically trying as well as expensive. And not everyone is cut out to be the host of a Bed and Breakfast or a wedding venue. But if you’ve thought carefully about both of these things, why wait and see if you make any money out of your home when you could be making money off it now? 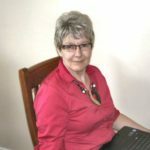 Susan Ward is a business writer and experienced business person; she and her partner run Cypress Technologies, an IT consulting business, providing services such as software and database development.